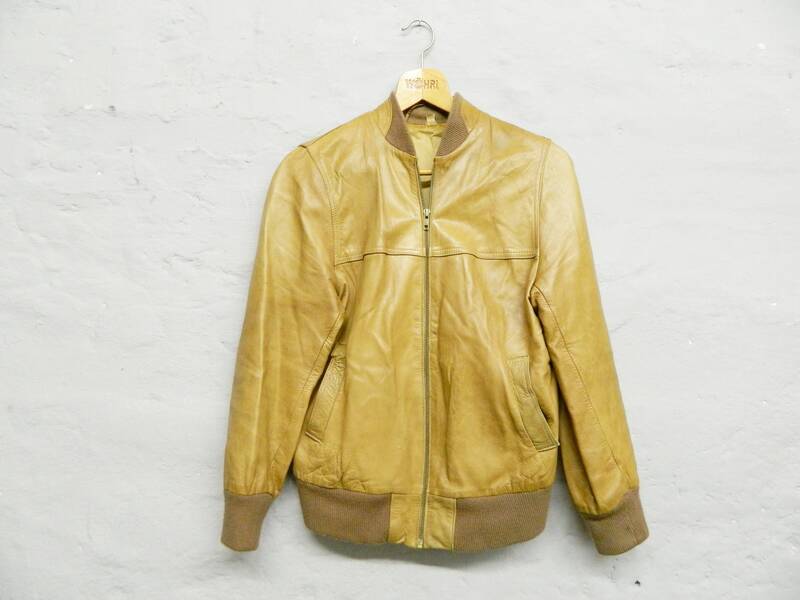 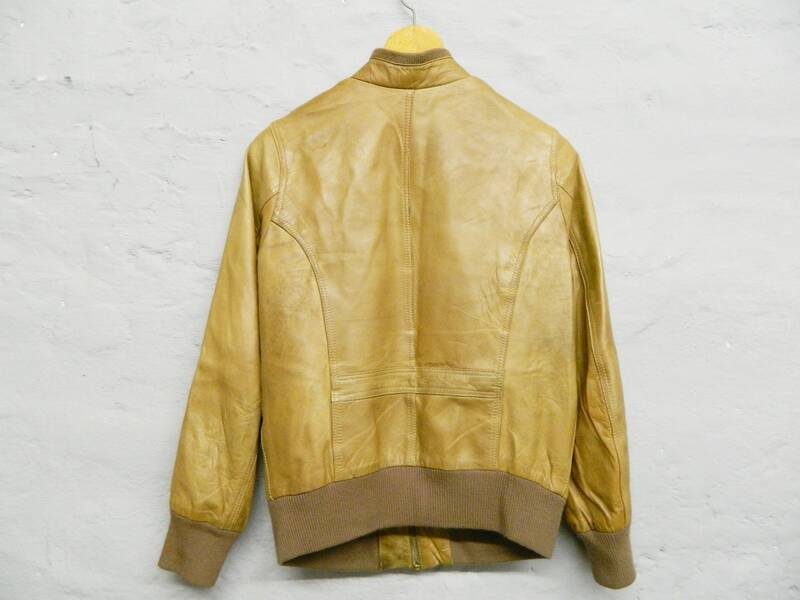 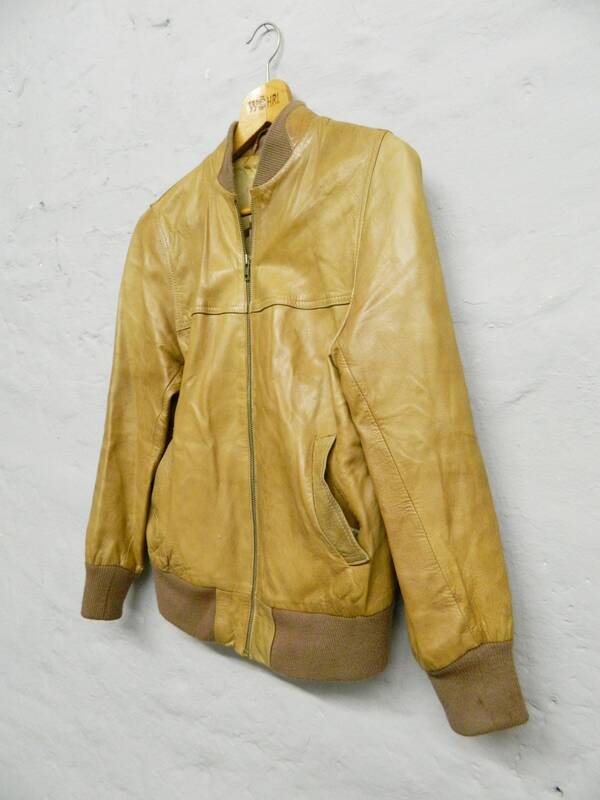 Soft slim cut leather jacket in light brown "ochre." 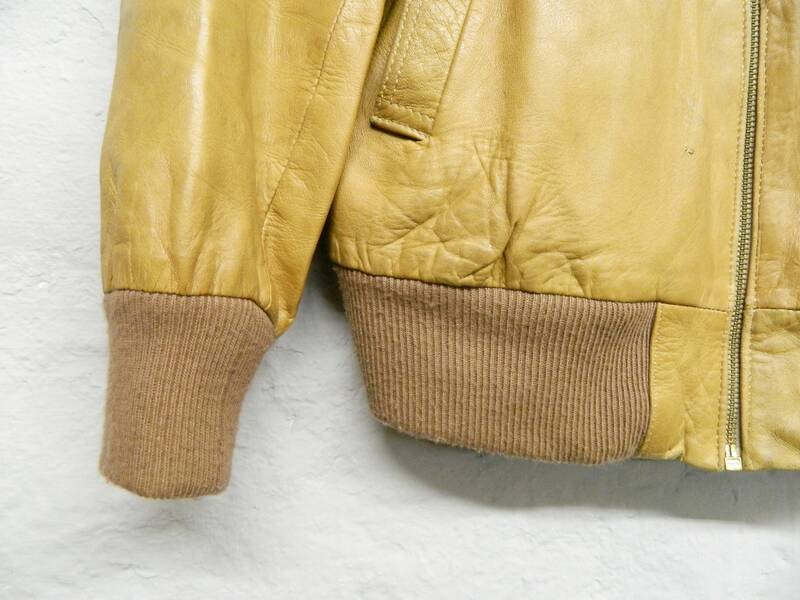 The jacket has two pockets at the front, a zipper and knitted bundles. 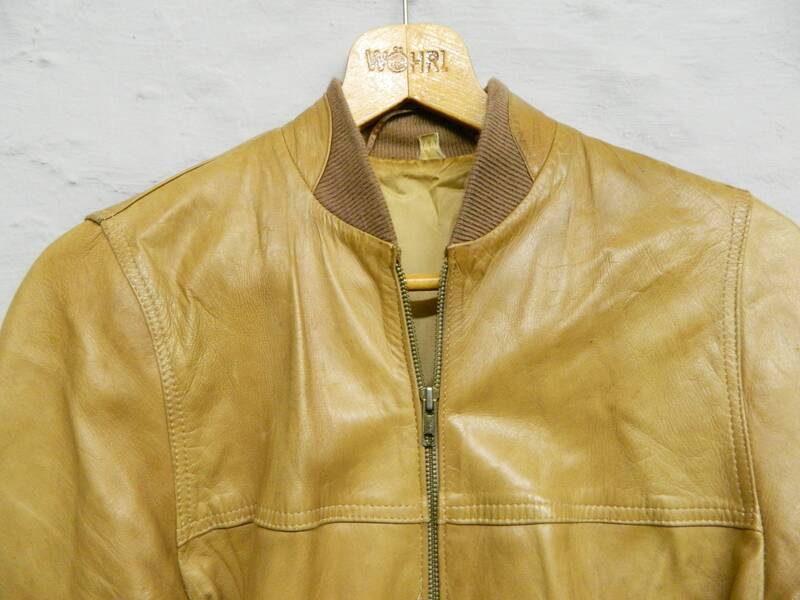 The jacket is very cool, has lightweight weartracks, but this adds to the cult effect.